The structure indicated is the small cardiac vein. The coronary sinus returns deoxygenated blood to the right atrium of the heart, together with the superior and inferior vena cavae. 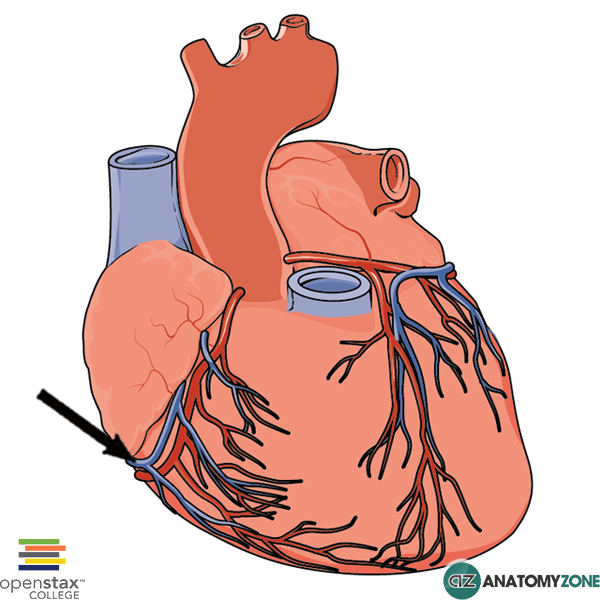 The small cardiac vein lies in the coronary sulcus between the right atrium and the right ventricle. 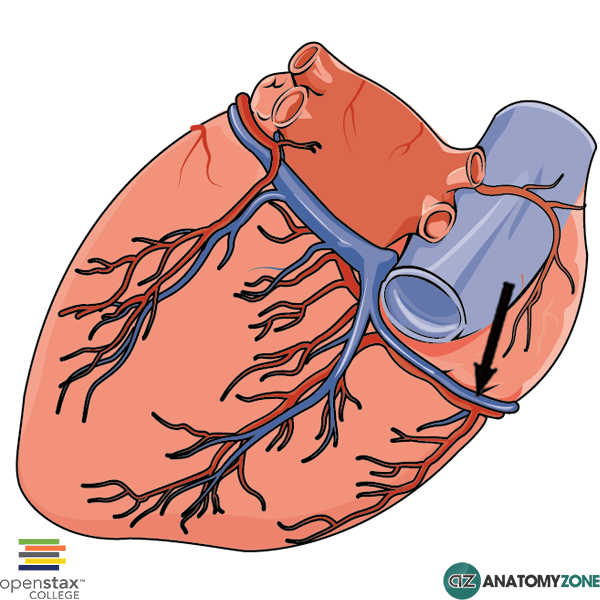 Learn more about the blood supply to the heart in this tutorial.